Can Dave King purge Rangers of Mike Ashley allies? 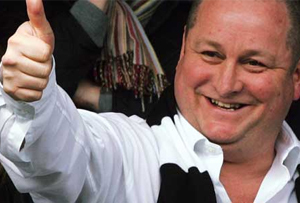 Can King purge Rangers of Mike Ashley allies? Rangers shareholder Dave King wants an EGM to oust Mike Ashley's supporters from the board, but the Sports Direct owner might have an ace up his sleeve. You know something’s wrong at a football club when the games being played in the board room are more interesting than the ones on the pitch. As Rangers contemplates using the Ibrox stadium as collateral for a Mike Ashley loan, former director Dave King is attempting a coup to eliminate Ashley’s allies from the board. The club confirmed to the stock market today that King’s company New Oasis Asset Management Ltd has requested an emergency general meeting (EGM), for shareholders to vote on removing Ashley’s business associates Derek Llambias and Barry Leach from the board, along with pro-Ashley directors James Easdale and David Somers. South Africa-based King proposes that he rejoin the board himself after two years away, along with fellow former director Paul Murray and former director of Tennents lager John Gilligan. Not content with ousting the current directors, King also wants a ‘forensic audit’ to sniff out whether the club’s financial and commercial dealings with Ashley were ‘truly [at] arms length’. In a statement on Friday afternoon, King said ‘any malfeasance will be pursued aggressively and transparently’. Don’t hold back, Dave. This transparent aggression will no doubt go down well with fans, many of whom are furious at the way Mike Ashley took control of the board and is now seeking to put Sports Direct on the Ibrox stadium deeds. Indeed, some fans tried to storm the stadium during a protest outside the Hearts game on Friday, rather than actually watch the match. Such actions only add to the financial mess Rangers is in. In another statement to the stock exchange this morning, the club spoke of how its need for ‘urgent short-term funding’ and inability to raise equity under its own rules had forced it into talks with two major shareholder parties over access to short and long term finance. ‘In reality, it may be necessary to use Ibrox stadium as security,’ the statement read. The two parties are, of course, Mike Ashley and the consortium of wealthy supporters known as the Three Bears (otherwise known as Douglas Park, George Taylor and George Leatham), with whom King is aligned. King owns 15% of the company, while the Three Bears have around 20%. Ashley has 8.3%, while his allies the Easdale family control roughly 25%. Clearly King believes he can gain sufficient support from the remaining investors to push the resolution through. Given how the unpopularity of the current regime must be hurting the club’s finances, this isn’t exactly a surprise. Having support to win the vote may not be enough, however. For a start, the board, which is obviously resisting the move, has 21 days to reply to the request and another 21 days to call the meeting. That means it wouldn’t happen before late February anyway. Given Rangers' immediate need for cash, it will need to get it either from the Three Bears or Ashley well before then. The current board, then, could sign a deal with Ashley that will give him security on the Ibrox and great leverage over the club, even if his people are subsequently removed from power. The club stated that it’s not a foregone conclusion that the Ibrox will be given as security or that this would ‘unfairly advantage’ whoever got it, but ultimately money is power. The vote may also never happen. In its stock exchange statement, Rangers said it wanted the request for a meeting withdrawn, and pointed out that the AIM exchange rules ‘require that all individuals appointed to the board of an AIM company are suitable to be a director of a UK public company’. This is a clearly dig at King, who settled in a South African court over tax evasion charges last year, and could therefore be ineligible to become a Rangers director again. It may be on a technicality, but this challenge could get a red card.